Motor-Hydraulic Orange Peel Grab is mainly designed for handling of bulk materials in blocks, particles and irregular shapes, such as coke, pig iron, steel scrap, slag, garbage and rock etc. 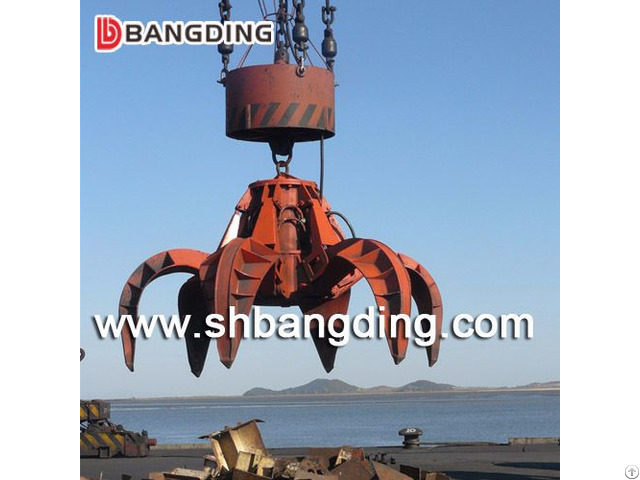 It is widely used in ports, steel plants and garbage treatment plants, with tower cranes, ship unloaders, traveling cranes and other type of cranes. The grab has its own hydraulic system, the key elements of which are of recognized brand imported abroad which ensure the high performance of the grab. It is simple in structure, easy to operation, high in performance. BANGDING owns a strong R&D team comprised of engineers graduated from Germany with provable practical experience, offering to design and manufacture all kinds of loading and unloading machines. Besides the standard product range, BANGDING also develops unique solutions for specific situations and customer needs in material handling. BANGDING will be your most reliable and loyal business partner in China. 1. GRAB: Grab bucket, Remote Control Grab, Hydraulic Grab, single rope control grab, two rope control grab, four rope control grab, Mechanical Grab,orang peel grab, clamshell grab etc. 3. 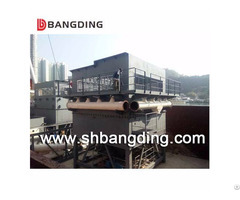 HOPPER: Dust proof hopper, Dusting Hopper, Movable Hopper, dust collector hopper, Fixed hopper. 1. 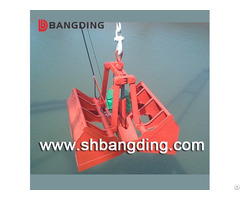 Quay Crane, Marine Deck Crane, Telescopic Boom Crane, Knuckle Boom Crane. 2. Remote Control Grab, Electro-hydraulic Grab, Mechanical Grab. 3. Bridge Crane, Grab Ship Unloader, Screw Ship Unloader. 4. Port hopper, Dust-proof Hopper, Weighing and bagging machine. 5. 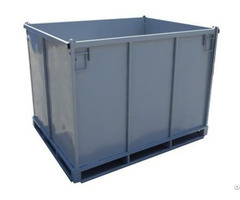 Semi-automatic Container Spreader, Complete Electro Container Spreader. 6. C-clamps, Lifting Beam, Hydraulic Breaker, Truck Mounted Crane, etc.